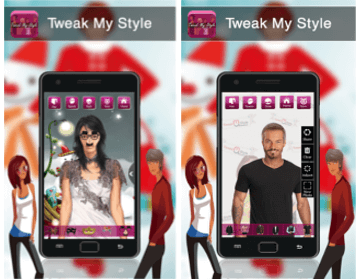 Tweak My Style is a free app that lets you apply funny, pretty and eye-catching effects to your favorite photos. Make your photos extra fun with creative shots with new Styles, Dresses, Frames, Stylish hair, Masks, Backgrounds. It helps you to appear to be cheekier, more charming, sweeter, sexier, funnier or maybe lightly scary with this amazing tool! Tweak My Style is packed with loads of features, frames, styles, backgrounds and scenarios that will allow you to personalize your photos for almost any occasion you can imagine. Tweak My Style is that simply clicking on the effect is enough to insert your image very accurately and it detects people and faces very well, and even if it doesn‘t, you can change them by double-clicking again.